An alleged sales brochure (or more accurately, an anti-sell document) for Tesla’s upcoming mainstream Model 3reveals the electric sedan won’t be nearly as zippy as its bigger brother, the Model S.
A source claiming inside knowledge of Tesla’s activities recently published the brochure over on the Tesla Model 3 Owners Club (via Inside EVs). According to the leak, the Model 3 will be able to accelerate from 0-60 mph in 5.6 seconds. That’s not really slow, per se, but it’s nowhere near as fast as Tesla’s other vehicles. Motor Trend earlier this year found that a top-of-the-line Model S P100D with Ludicrous+ mode, for example, can accelerate from 0-60 mph in a blistering 2.28 seconds. Then again, a well-equipped Model S P100D starts at $140,000 which is far less than the $35,000 base price the Model 3 is expected to debut at. 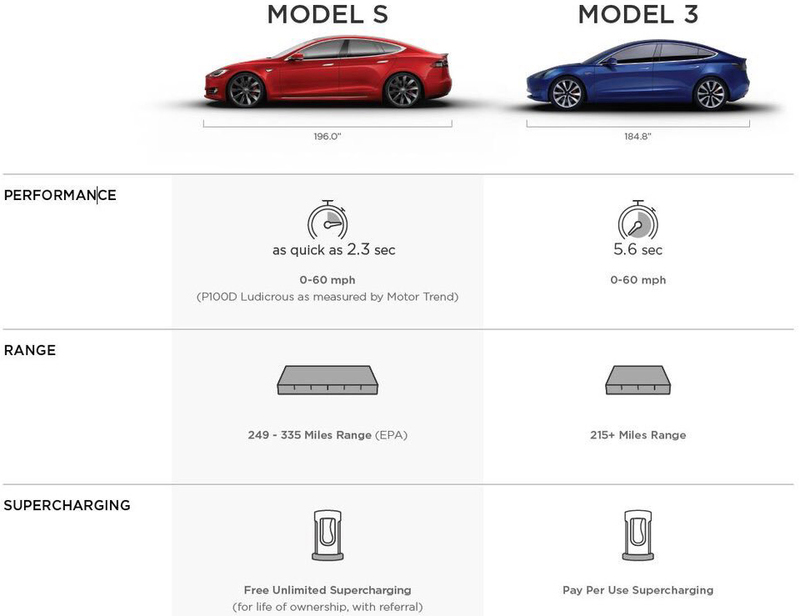 The document also reiterates that the Model 3 will feature a range of 215 miles and again as we already know, it won’t be privy to unlimited Supercharger network use. What’s more, there’s only 14 cubic feet of front and rear trunk cargo volume – less than half of what the Model S offers. Mass production on the Model 3 is expected to begin in the coming weeks.